I have not got a central heating system? No problem. A vast amount of our radiators are available with electric elements. Do these radiators use standard connections and fittings? Yes - exactly the same as standard radiators. These radiators look nice but are they expensive? We have a wide range to suit all budgets. We don't think they are expensive or exclusive anymore. Can I replace my old radiator in just one room? No problem. 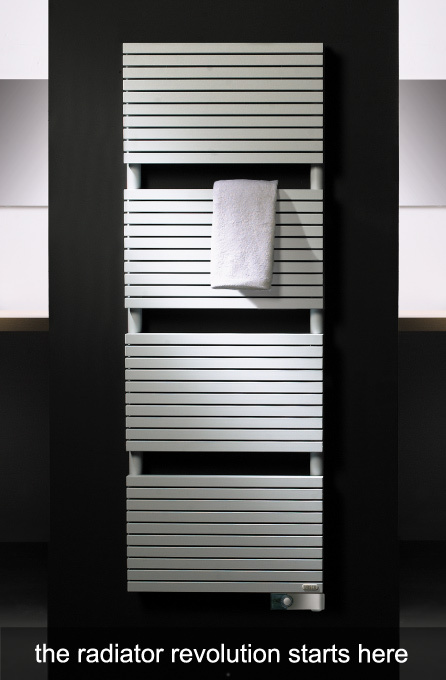 For a new look you can replace as little as one radiator or as many as you like. The title of goods shall remain the property of The Radiator Studio until paid for in full. All prices stated exclude VAT at prevailing rate. A deposit will be requested on coloured or special order radiators. All payments or final payments will be requested prior to delivery. Delivery charges if appropriate will be discussed prior, or at order stage. Coloured radiators cannot be returned unless damaged or faulty. Any returns of stock will be considered but subject to a 25% restocking charge. The goods must be returned in original packaging and suitable for resale. We, The Radiator Studio, will not and cannot be held responsible for the late delivery of any orders. We shall of course endeavour to keep to leading times advised. Any damage or faulty goods fitted or unfitted will be repaired or replaced by us. Claims for either labour in replacement or damage to property are not admissible. All descriptions and illustrations are for guidance only. All heat calculations calculated by The Radiator Studio are for guidance only. We will not be held responsible for discrepancies or inadequacies.